WXXI's Karen DeWitt reports that there's some pushback on a budget measure to extend the state's prevailing wage rules. It’s backed by major unions, including SEIU 32BJ, which brought workers to the Capitol for a rally. Senate sponsor Jessica Ramos spoke at another rally to support the measure. Sinade Wadsworth is a member of the local carpenters union in New York City. She said the prevailing wage laws help keep her in the middle class. But the state’s major business groups oppose the extension. Greg Biryla with the state chapter of the National Federation of Independent Business said the change could increase the cost of construction projects that use a portion of public money by 20 to 30 percent. He said projects that take Small Business Administration loans, historic rehabilitation grants and neighborhood improvement funding are just some of the “beneficial” programs that could be put at risk. Supporters concede that extending the prevailing wage would add to the price tag of construction projects, but they estimate the average increase would be much lower, closer to 2 percent of total costs. Gov. Andrew Cuomo is pulling back a bit from the proposal. He’s received some pushback from public housing advocates, who worry the requirement could slow new affordable housing construction. Cuomo, in an interview with “The Brian Lehrer Show" on WNYC, said he would exempt public housing projects from the new rules. 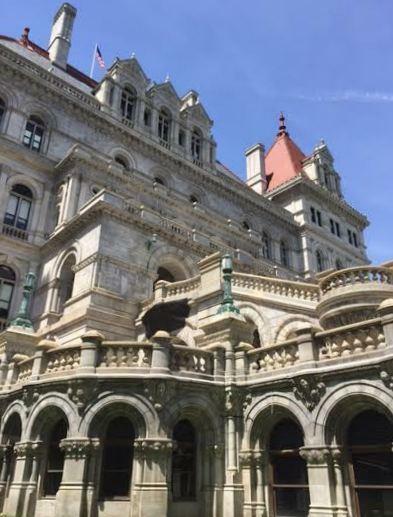 Cuomo said the discussion is now centering on what percentage of public money a project would have to accept before the prevailing wage standard kicks in. He said he’s also willing to have his administration decide the specifics later. Biryla said he’s encouraged by that, but said public hearings should be held before any new prevailing wage rules are decided.